New York City has some of the world’s finest dance makers. I am glad to be here and experience 100+ amazing performances each year. I initially create this site to help myself remember the many wonderful artists around me. Since then, however, numerous people have told me that they would love to see dance but don’t know where to start. Below, I’ve detailed some of the top dance events, festivals, and presenters in the city. For anyone new to dance, I hope this page can serve as a guide to help you discover the right performances and events for yourself. 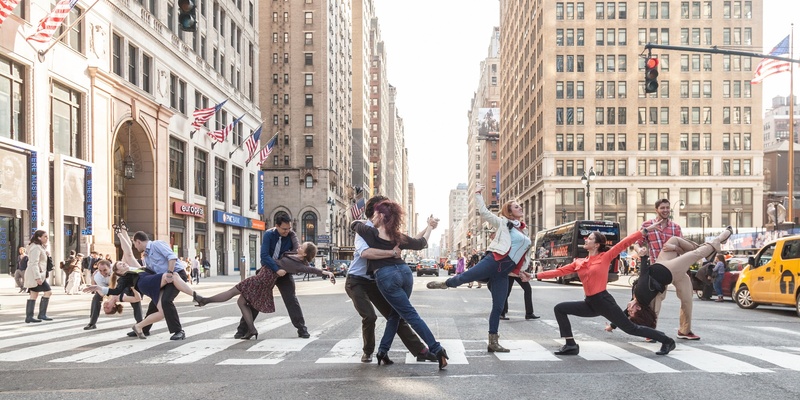 Summer is a great season to see dance in New York City. Outdoor performances take place in gorgeous settings across the city. Many are free for the public. Just make sure you arrive early enough to grab a good spot! 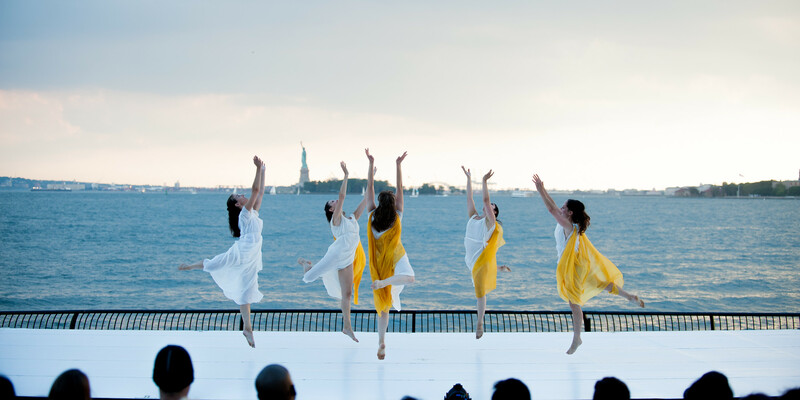 Go and check out some of the popular summer and outdoor events, such as the Battery Dance Festival photographed below. Dance festivals are a great place to explore a wide variety of dance styles. Find out how you can see world-renowned dance companies for $15, catch newly-commissioned works, and follow emerging choreographers on my dance festivals and presenters page. Keep in mind that purchasing single tickets is only one of the ways to attend a show. For the record, I am a member and/or a subscriber of the following dance organizations. Memberships and season subscriptions often come with benefits and access not available to the general public, such as opportunities to meet the artists, see works-in-progress, flexible cancellation policy, and discounts. More importantly, they help support dancers and presenters, who take on both artistic and financial risks with every performance. Personally, it’s my way of expressing confidence in an organization, in their long-term vision, and helping provide (a small amount of) financial stability so that they may pursue bolder, more creative, and more challenging projects. Dance speaks to each one of us in different ways. My goal here is to help you discover dance for yourself. Someday, you may find yourself captivated by an extraordinary dancer, mesmerized by a particular choreographer, or emotionally responding to a work. Congratulations when you do! It’s a wonderful feeling! I hope you take the first step. If you are interested in reading more about my thoughts and reflections on dance, please see my dance and theatre blog.